The flooding from Tropical Storm Florence has devastated the Carolinas since its Sept. 14 landfall. 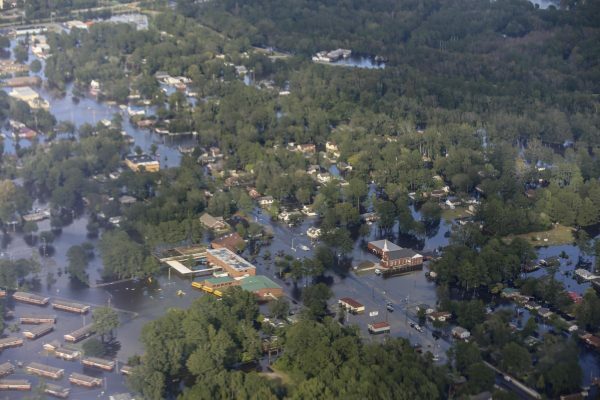 Numerous state and federal agencies have shared incredible aerial photos and videos that reveal the scale of the horrific flooding and convey what an impact the storm had on affected areas. The North Carolina Department of Transportation (NCDOT) has compiled a Facebook photo album with images of flooded roads showing the severity of Florence’s impact. Images show entire stretches of Interstates 40 and 95 underwater in North Carolina. “There are 1,050 road closures – incl. I-95 and 40, plus numerous highways & primary routes. 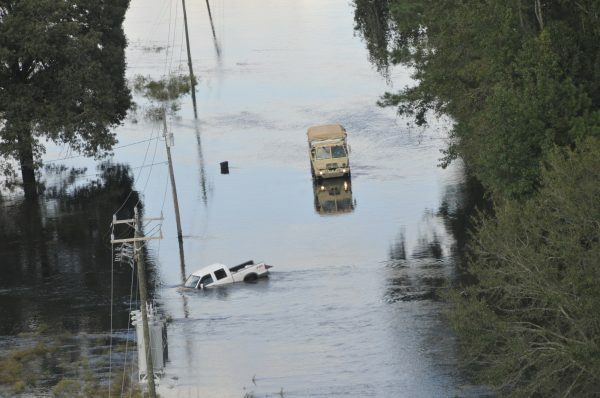 Waters are still rising, 2,200 people have been rescued,” NCDOT tweeted Tuesday. The flooding has left entire towns unreachable until flood waters decrease. State officials have been urging residents to remain evacuated and refrain from attempts to return to their homes as roadways remain flooded. Many residents don’t have homes to return to, as extensive winds tore apart mobile homes in some area. “Wilmington INACCESSIBLE by land. DON’T travel, let responders work. – Sections of I-95/40 flooded. No reopen time until crews assess damage,” NCDOT said in another tweet. – Wilmington INACCESSIBLE by land. DON’T travel, let responders work. – Sections of I-95/40 flooded. No reopen time until crews assess damage. 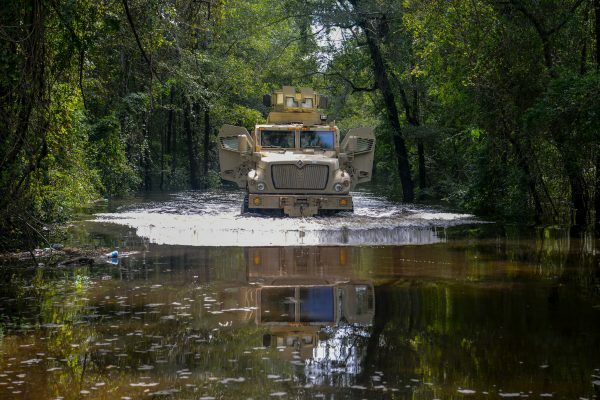 National Guard branches involved in rescue efforts have also shared images of heavy military equipment navigating the flooded roads. The floods threaten even these specially designed high-clearance vehicles. Entire residential areas are still inaccessible in other areas, many near the coast. Although rainfall has stopped, roadways and bridges remain flooded. Dams have been breached by the pressure of excessive flooding, and some rivers are at historic high levels. Officials have said it will take weeks for roads to reopen. Local agriculture industries have been ravaged with the flooding of area farms and an estimated 3.4 million chickens and tens of thousands of hogs killed from flooding, WRAL reported. Farmers are still reporting and tallying damages from crops lost to flooding. Accuweather released a damage toll estimate on Wednesday, which more than doubles some other estimates. “We have narrowed our estimate of the total economic toll from Florence to $50-60 billion once all factors are considered such as damage to homes, cars, lost property and valuables in addition to lost wages, medical and other costs resulting from the inevitable disease and ill health effects that follow a storm of this nature,” Accuweather said in a statement. If cost estimates ring true, Florence could be one of the costliest storms in the U.S.